Your Birth is the Antelope Valley’s premier childbirth education and birth doula service. Small business owner and military veteran Heather Turner has been helping women and families achieve their ideal birth since 2001. Your Birth has the best childbirth classes and the most experienced birth doula labor support in the AV. Serving Palmdale, Lancaster, Quartz Hill, Lake LA, Rosamond, Edwards AFB, and surrounding areas. A majority of women, both first time and experienced moms, reported that their childbirth educator was their most trusted source of information second only to their care provider. Learn about the benefits of taking a class from the Antelope Valley’s only Lamaze Certified Childbirth Educator. Your class on C-section delivery REALLY helped prepare me for what to expect in the hospital and definitely took away some of the fear! Studies have shown that all women should have continuous labor support and that more experienced and trained support is most beneficial. Learn why why a birth doula may be just the help you need. I have to hand it to my doula Heather for all the support during my 24 hr labor, I couldn’t have done it without you. I will always remember and be forever grateful for the wonderful experience we had. What do peanut balls, bengkung belly binding, and belly casting have in common? 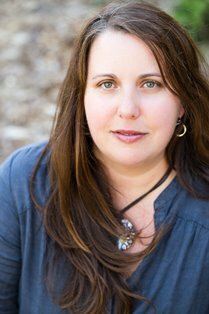 They’re all skills Heather can show you how to put into practice for your doula clients. Plus, you can earn DONA Contact Hours. This is such a beautiful wrap! This is the quickest I have recovered from all 3 of my births, and I am already wearing most of my regular clothes at only 2 weeks from giving birth!